Throughout February, an unprecedented number of winter jackets were stolen from the reputable establishment, Rick’s American Café. It was a particularly chilly month early on, with highs only in the 20s and the wind-chill in the single digits. It is no wonder Rick’s patrons were especially hesitant to leave without a coat, even if it was not their own. As February comes to a close and the temperatures rise, students who regularly frequent Rick’s hope that the number of jackets stolen will decrease in turn. Those who choose the plain sight route are asking to be robbed. Think about how many drunken people stumble upon their lonely jackets! Chances are that if a jacket is left defenseless like that, one of those drunk people will take it; either because they mistake it to be theirs in their inebriated stupor or recognize that it does not belong to them, but claim it as their own, nonetheless, shuddering at the thought of walking home across the Michigan tundra without an extra layer of protection. It is difficult to sympathize for the victims of jacket-robbery who not only refuse to pay $2.00 for coat check, but are even too lazy to hide their jackets someplace where the Walking Drunk won’t find them. Others work as a team, tying their jackets together hoping the drunken zombies would rather prey on single jackets, as expending the effort to untie jackets is just too much after three Mind Probes. Alas, the drunken zombies are underestimated! Although their capacity for reason is diminished and their motor skills are less than optimal, they will recognize a designer brand when they see one. Those puppies are the first to go, regardless of whether or not they are tied to their compatriots. Before the temperatures dropped earlier this month, I was fairly confident I had found the hiding spot of all hiding spots. After finding myself at Ricks at least two nights a week, I am unsurprised that I was eventually filled in on the secret about the booths: they are hollow and not screwed to their frames, making it all too easy to use them as chests for safekeeping jackets. Every night, instead of bee lining for coat check, I discreetly make my way to a booth to stow my jacket. I told only a few people about my secret, but I’ll admit it might have been too many. 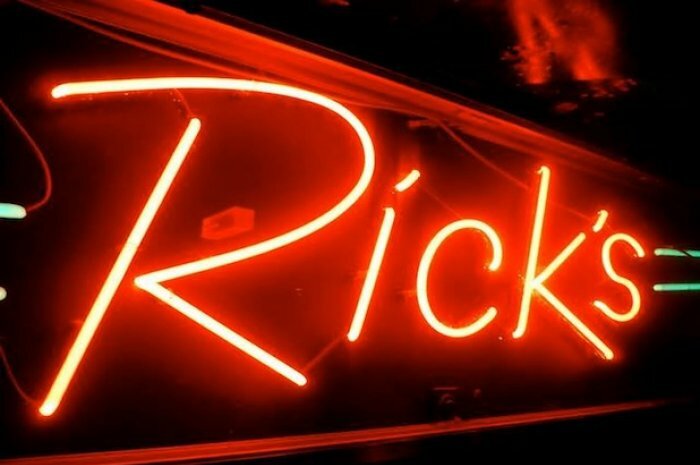 I soon realized that word travels quickly through Ricks-regulars, and as time passed, the number of jackets hidden within the booths’ confines increased exponentially. To my dismay, it wasn’t long before the booth was no longer a safe haven for jackets to hide. It was my fault. I told my friend that his jacket would be safe in the booth. As closing time drew near and Backroom Pizza grew harder to resist, we traipsed back to retrieve our jackets. The booth was particularly full this evening, nearly to the brim, but nonetheless I pulled my jacket free from the entanglement of sleeves in satisfaction. “See!” I remarked, “I told you our jackets would be safe!” Though as my friend sifted through the mix, he grew increasingly frustrated, beginning to throw jackets to the floor while his own jacket eluded him. It had been lost to the Walking Drunk. Not even the jackets whose owners had managed to hear about the apparently-no-longer-secret booths could be counted as safe. So once Michigan students return from Cancun, Puerto Vallarta, the Bahamas, or from wherever they find themselves this spring break, hopefully upon their return they will be feel safe leaving their jackets hidden in the booths at Rick’s American Café. Or even better, feel safe leaving their jackets at home, as the polar vortex retreats to the north. Is U-M’s Students4Justice Demanding a Segregated Space on Campus?